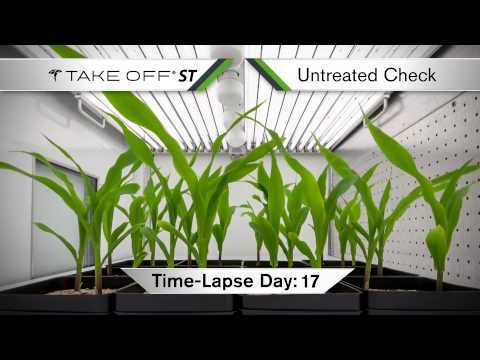 Take Off ST® accelerates germination, emergence, establishment and canopy closure and pushes the seed toward a faster start, helping plants avoid early-season stresses that can inhibit yield potential throughout the growing season. A plant with a stronger start is a plant with a better chance to endure difficult early-season conditions. 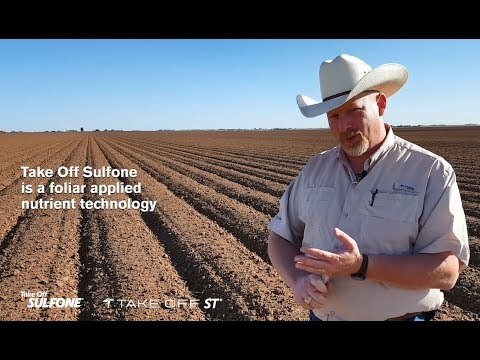 Take Off ST assures growers that they have maximized their yield potential from the moment the seed hits the ground. Suggested application rate for barley, rice, rye, wheat, cotton, canola, sugar beets: 0.3 oz/100#, with a minimum dilution of 3 fl oz per 100# of seed. Suggested application rate for soybeans: 0.3 oz/140,000 seeds or 0.0678 mg/seed, with a minimum dilution of 6 fl oz per 100# of seed. Suggested application rate for corn: 0.6 oz/80,000 or 0.2373 mg/seed, with a minimum dilution of 6 fl oz per 100# of seed. 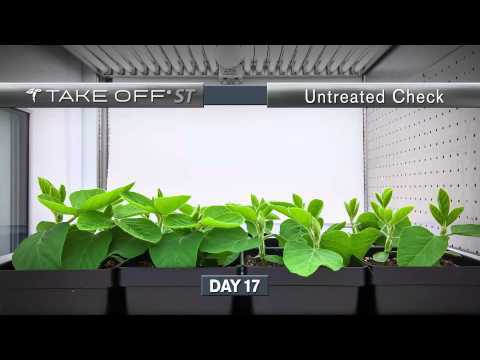 This seed treatment is compatible with most common foliar pesticides and nutrients. It is recommended that a small-scale compatibility test be conducted prior to mixing a full batch. NOTE: Tank mix environments where the pH is less than 2.5 reduce the efficacy of Take Off ST® and should be avoided.